Enjoy unforgettable moments with your friends and become beer experts. 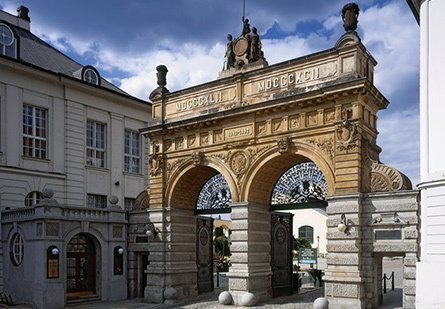 Visit the traditional premises of the Pilsner Urquell brewery, and have fun learning the proper way of tapping beer. You will learn how to tap beer “up to the level” as well as what the terms “čochtan”, “šnyt” and “mlíko” mean. As a gift, you will receive a certificate of completion of the Pilsner Urquell Draft Beer Workshop and a half-litre beer glass with your name on it. 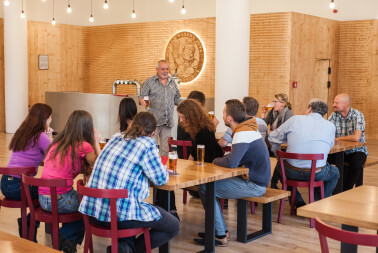 Would you like to enjoy a unique sit-down with unfiltered Pilsner Urquell beer? 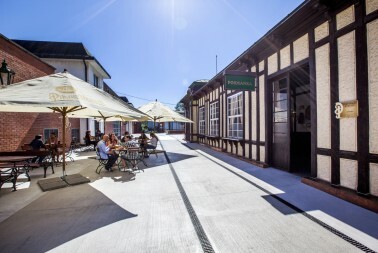 Then the Formanka summer garden pavilion, hidden away not far from the courtyard of the Pilsner Urquell brewery, is the one and only option. Formanka offers stylish premises with original beer-themed decorations, and a garden outside. 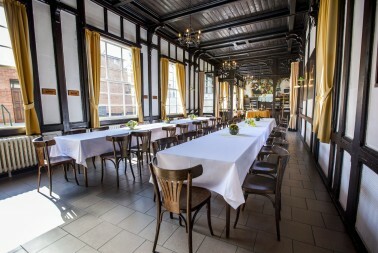 This is a venue where your event will become unforgettable thanks to excellent unfiltered Pilsner Urquell beer, the unique atmosphere, pleasant staff and wonderful cuisine. Are you looking for something truly unique to give to your family, friends or to your co-workers? Order a shalanda, a non-traditional salon within the labyrinth of corridors in the historical lager cellars. 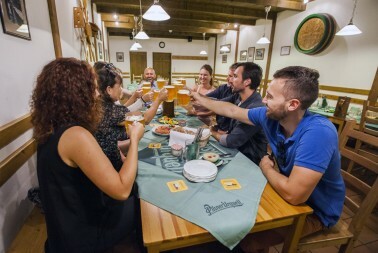 Enjoy a relaxing atmosphere while sipping on non-filtered, non-pasteurised Pilsner Urquell beer, produced by the Pilsner Urquell Brewery using a non-traditional method in the historical brewery cellars. Do you celebrate a birthday, a successful test, final exams, graduation, bachelor party, birth of a child …? Or you just want to really enjoy a weekend evening with friends? Then subscribe to our Party in the Gambrinus brewery. You will spend four hours in the heart of the brewery with experts on beer and brewing great beer and Gambrinus. Order a great programme full of fun. 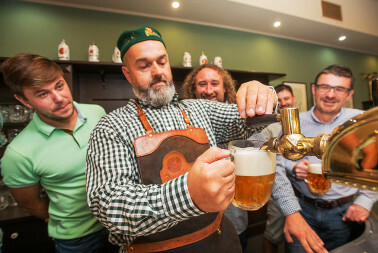 You will become familiar with what historic beer brewing professions involved, and during a journey into the past you will get to taste unique unfiltered Pilsner Urquell beer at Šalanda. You can take away a reminder of your visit to the brewery by purchasing a beer glass with your own name on it or another beer gift from the shop in the courtyard or our e-shop. Experience unforgettable moments riding a foreman's cart, make your guest programme more exciting by including cooper activities such as keg assembling or rolling. Celebrate your wedding or company event in the unique spaces of the Brewery Museum.